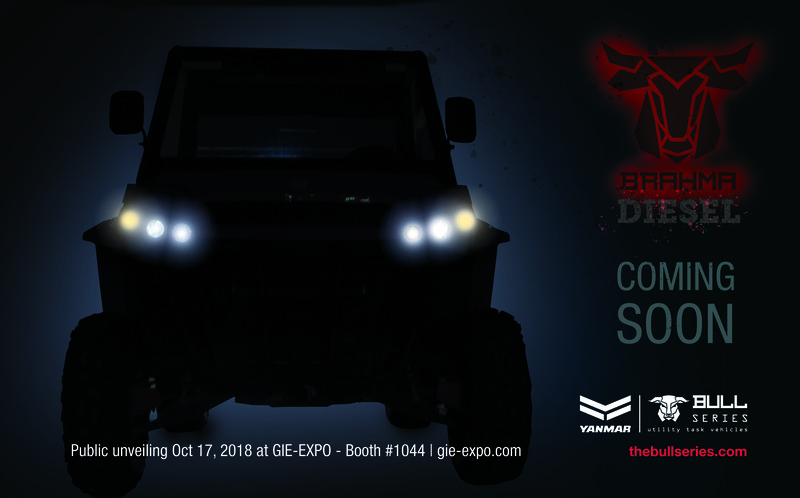 YANMAR UTV Division specializes in purpose-built UTVs for the Agricultural, Construction, Commercial and Rental market segments. The Rent-A-BULL UTV is designed specifically to serve segments that require stringent safety demands. Each Rent-A-BULL is customized to order with array of options such as the built-in speed limitation, horn kits, back-up alarms, safety beacon strobe lights, and roof and windshield choices. YANMAR UTV Division stands out with its factory assembly option that takes on the burden of custom assembly off of dealers and customers. YANMAR America Corporation, located in Adairsville, GA, is the regional headquarters of Yanmar Co., Ltd. a global company based in Osaka, Japan. Yanmar Co. Ltd., was established in 1912, and in 1933 became the world's first manufacturer to develop a practical small diesel engine. Today, YANMAR is a recognized leader in the design and manufacturing of advanced performance diesel engines and diesel-powered equipment, as well as gas engine based energy systems. YANMAR America Corporation opened a second facility in Acworth, GA in November 2017. Appropriately named the EVO//Center, it serves as a showroom, training center and customer experience campus designed to support dealers, customers, and community through the YANMAR mission of empowering sustainability. Find more information on the Evo Center at yanmarevocenter.com. YANMAR America Corporation is located at 101 International Parkway, Adairsville, GA 30103. For more information about all of YANMAR’s solutions, please visit yanmar.com/us.